igniting a flame to light my way home. Oct. 13, 2016, Thursday, 5:00-6:45 pm, “Poetry and the Shakuhachi, Open-Hearted Verse and Meditative Music,” Reading and Book Signing from “A Heart on Fire, Poems from the Flames,” and Meditative Music Performed on the “Shakuhachi,” a Japanese Bamboo Flute Played in Buddhist Meditation. Walker Memorial Library, Main Street, Westbrook, ME. Click here for details. May 7, 2016, Saturday, 4:00-5:00, Guest Poet, Books in the Brook, Continuum for Creativity, 863 Main Street, Westbrook, ME. April 23, 2016, Saturday, 9:30-12:30, Workshop: “Loving and Being Loved: Compassion and Forgiveness,” OLLI College, University of Southern Maine, Portland, ME. October 24, 2015, Saturday, 9:30-3:30, Writing Workshop: “Writing from Our Mystic Self,” OLLI College, University of Southern Maine, Portland, ME. May 16, 2015, Saturday, 9:30 am-12:30 pm, Poetry Workshop: “Telling Our Story, Singing Our Song: A Poetry Workshop,” Walker Memorial Library, Main Street, Westbrook, ME. Oct. 9, 2014, Thursday, 6:30 pm, “Poetry and the Shakuhachi, Open-Hearted Verse and Meditative Music,” Reading and Book Signing from “A Heart on Fire, Poems from the Flames,” and Meditative Music Performed on the “Shakuhachi,” a Japanese Bamboo Flute Played in Buddhist Meditation. Walker Memorial Library, Main Street, Westbrook, ME. Click here for details. 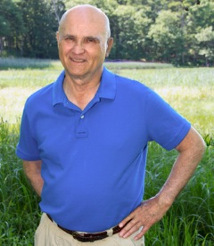 Sept. 20, 2014, Saturday, 7:00 pm, Reading and Book Signing from “A Heart on Fire, Poems from the Flames,” Lowry’s Lodge, Saccarappa Art Collective, Main Street, Westbrook, ME. Click here for details.